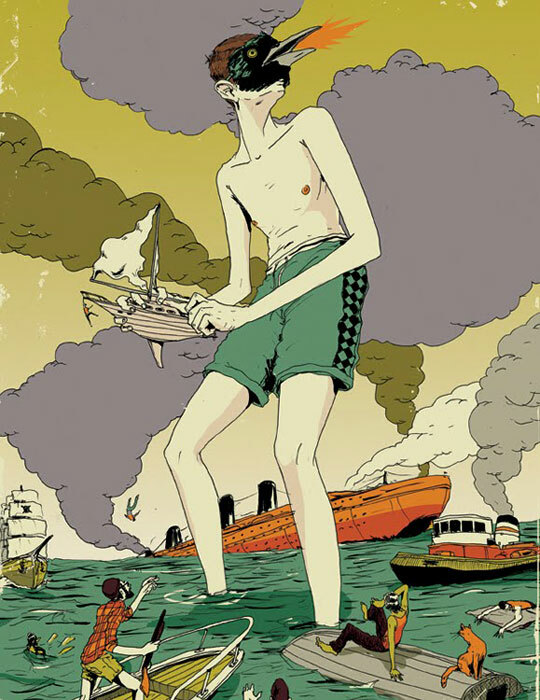 Levy Creative Management congratulates artist MIKE BYERS for getting two pieces into the Society of Illustrators 53 Annual Competition. 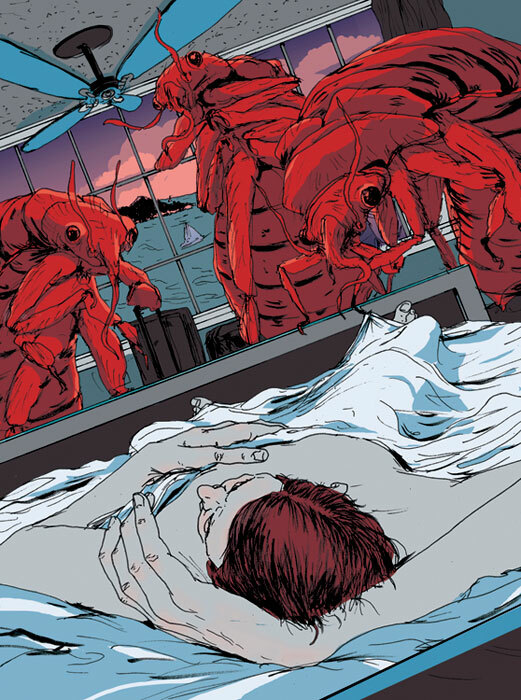 “Bed Bugs” was originally commissioned by Honolulu Magazine and will be featured at the Book & Editorial Exhibition (Opening Reception: February 4, 2011) – Exhibition January 26, 2011-February 19, 2011. “Common Crackle” was originally commissioned by Gregory Pepper as poster art for an album release. This piece will be featured at the Advertising & Institutional Exhibit (Opening Reception: March 4, 2011) – Exhibition February 23, 2011-March 19, 2011. The premier showcase for illustrators and animators, the Society of Illustrators Annual Exhibition features over 400 pieces of the most outstanding works created throughout each year. Open to artists worldwide, thousands of entries are considered by a jury of professionals, which include renowned illustrators, art directors and designers. The original works are exhibited at the Museum of American Illustration at the Society of Illustrators in three separate shows. The Sequential and Uncommissioned Exhibit features the year’s best multi-image projects and self-generated images made for self-promotion. The Editorial and Book Exhibit consists of art commissioned by newspapers, magazines and books. Finally, the Advertising and Institutional Exhibit features artwork created for advertisements and promotions. At Opening Award Galas for each part of the Annual Exhibition, Medals and Certificates are presented to the illustrators and art directors whose works are judged best in each category. All accepted entries are lavishly reproduced in full color in the Illustrators Annual Book. The leading directory of American and international illustration, the Annual presents not only the year’s finest illustrations, it also includes commentary by the artists, who explain their creative processes in their own words. In addition, essays about and examples of recipients of the Society’s Hall of Fame give historical context to the contemporary work in the book. A selection of 40 works from each Annual Exhibition tours colleges throughout the country in an educational traveling exhibition, a tradition going back nearly 30 years.